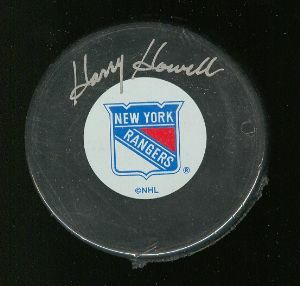 New York Rangers puck autographed in silver by Hall of Famer Harry Howell. Obtained from paid signing. With certificate of authenticity from AutographsForSale.com.